When I lost complete hope of restoring all the important contact information that has been lost from IncrediMail [.IMB Files], this tool worked wonders. The software helped me get back my all mailbox data items such as emails, attachments, with ease. The software helped me in retrieving the email attachments from the email application. 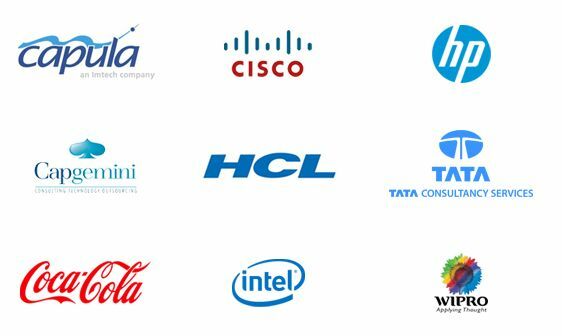 I was able to extract all the email data items under various criteria and requirements that are excellently configured in the software. Thanks for the remarkable software. 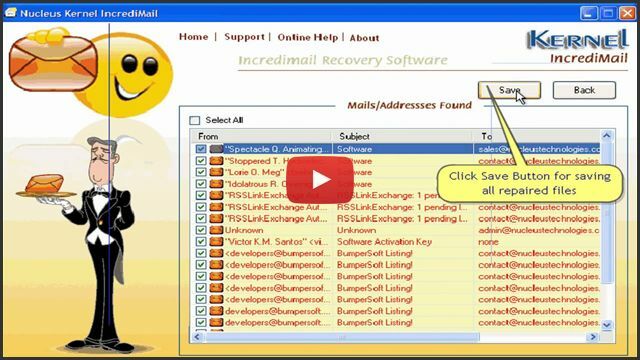 This software has been programmed in such a manner that it can recover emails from IncrediMail [.IMM Files, IMH Files] and also from deleted, damaged or corrupt mailbox files. The most highlighting feature of this utility is its ability to restore the accidentally deleted emails along with the data items that have been emptied from 'Deleted Items' folder in IncrediMail. Using this software, once the recovery process gets completed, you too can easily have the clear preview of selected email or file. Each email can be previewed with its attributes like: created date, subject and size in bytes. It helps in verifying the quality of recovered data before saving it computer or network drive. This utility has been programmed in such a manner that emails recovered can be retrieved directly from IncrediMail or they can be exported so that the user can import it in the system having IncrediMail installed on it. 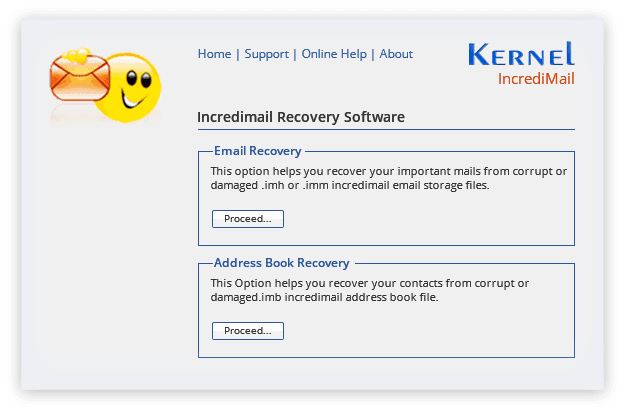 This software is result-oriented and user-friendly email file recovery application. Any individual can operate the tool without facing any hassle. One would just require following easy-to-go steps to recover IncrediMail emails. After completing the scanning process, the software displays complete list of the recovered emails. But in this entire recovery process, the software very well maintains emails properties, links, attachments, formats, etc. that can be very handy if one want to use the recovered emails without making any changes. The extraction and saving of emails can be easily done on selective basis by using this software. Using this software, in case you desire to save the selective email and data of the file then the tool provides you with the Check / Uncheck option that in turn allows extracting of the desirable file only. SelectIn the first step, click on the suitable option to restore .imm, .imh or .imb file and located the file need to be restored respectively. SaveIn the final step, click on the “save” button for saving the repaired file successfully. 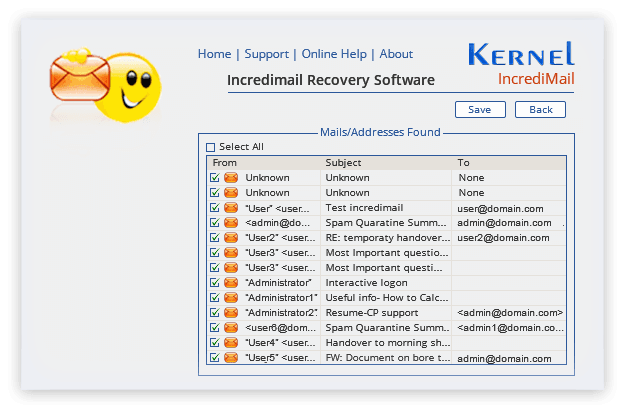 How long does it take to recover incredimail file using Kernel for IncrediMail Recovery? The Tool is so well endowed that it produces impeccable as well as a very speedy recovery of IncrediMail Files. The tool is not only user-friendly but also, easy to use. Will I loose any of my attachments in the emails using the Tool? Absolutely not. The Software is thus designed so as to maintain all the different email properties including attachments, formats, etc. Does the usage of this Tool require any specific knowledge? Not at all. Everyone irrespective of their education and qualification. Can use and benefit using this tool. I have a few corrupt Imb Files. Can the software help? The Software is capable repairing all corrupt or lost .imm, .imh and .imb files. Buying this software is really safe? I mistakenly removed emails as well as attachments and at the same time emptied ‘Deleted Items’ folder. Will this software be effective in such a scenario as well? Yes, with this tool, you can achieve it all. In fact, the software has been programmed intelligently. The tool performs thorough scanning to find damaged emails during the process. In just a matter of a few minutes, it extracts all the data. Once the scanning procedure gets completed it displays it in hierarchical tree structure, facilitating its user to easily select the important mails and store them at any respective location. How “Address Book Recovery” mode is useful in this software? The Address Book Recovery mode integrated in this software proves very handy in restoring the address book (.imb files). Now, while you use this software, you just require selecting the corrupt .imb file that is to be repaired. In fact, you need to provide the source along with the designation address where you want to save. The software is very easy to install on any Windows system. Also you don’t need any technical assistant to use. Amazing tool with self-descriptive options made the task easier. Looking forward to use other software from the range. You empty your mailbox by deleting your old mails and contact address, but some day you need that mail or have to send a mail to any old customer (whose mail contact has been deleted). Now there is no other way to recover your deleted or corrupted mails and contact addresses. Kernel for Incredimail effectively recovers your mails (.imm, imh files) and also the deleted mail addresses from your contact list. The equipped QFSCI technology ensures fast recovery of all the possible recoverable mails and contact addresses.